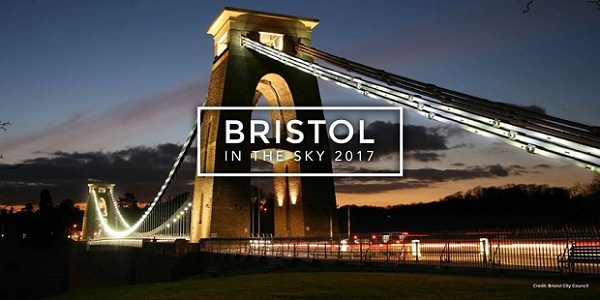 Events in the Sky has announced the arrival of Bristol in the Sky for the very first time in 2017. The concept was launched in London in 2014 to the public and was a huge success – and now next year, it’s being rolled out to five UK cities, including Bristol. The restaurant will be open from September 7th to 10th 2017, and will be located on the Waterfront Square next to the Lloyds Amphitheatre. There are 9 sittings each day, and guests have the choice of breakfast (£50), lunch (£125), dinner (£150), afternoon drinks (£75) and evening drinks (£75). The full restaurant line-up will be announced in February, but already confirmed is Executive Chef Louise McCrimmon from the Harvey Nichols Second Floor Restaurant. Every single restaurant that takes part will serve a menu of signature dishes during the full day event – to book tickets, visit the Events in the Sky website.